Tony de Freitas paints from his studio at home in Drummond overlooking the Valley of 1000 Hills. He produces original works using a unique palette knife technique in acrylics. His works are currently exhibited at prestigious galleries in the Cape, Johannesburg and Pretoria. 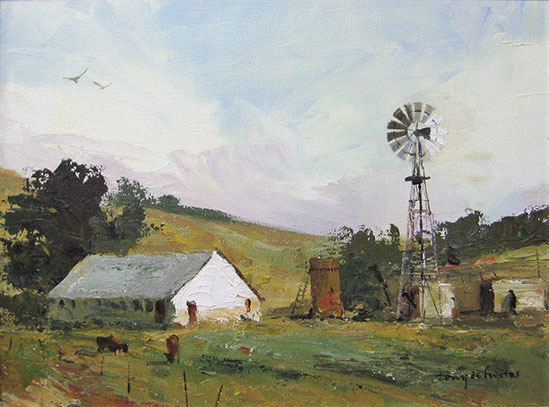 Tony de Freitas has been painting since he was a child and ran art workshops in Hermanus. He has been painting professionally full time since 1999.